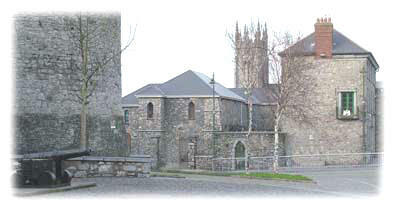 The North Munster Masonic Centre in Limerick is located in the midst of the tourist and heritage area of the city, directly across the road from King John�s Castle and beside the former Bishop's Lady's Palace (now the headquarters of Limerick Civic Trust). For precise details on the location see below. Heritage and history are very much part of the tradition of Freemasonry which is based on legends that date back to the time of the construction of King Solomon�s Temple. Of the many great buildings erected by the stonemasons in the Middle Ages, attention has focused on the great cathedrals throughout Europe. The Foundation Stone for the Masonic Centre was laid on June 10th, 1999 at a ceremony that was attended by representatives from Government, Local Government and the Clergy as well as a number of members of the Order. The official opening, which took place on Friday, September 23rd, 2005, was performed by the then Minister for Defence, local TD Willie O'Dea. Among those present was the then Grand Master of the Grand Lodge of Ireland, Eric N Waller and several senior members of the Order along with a number of interested visitors. Since the official opening three fine stained glass windows have been all designed and completed by David Knowles to whom the Province is very grateful. He was ably assisted in the installations by his brother Herbert. 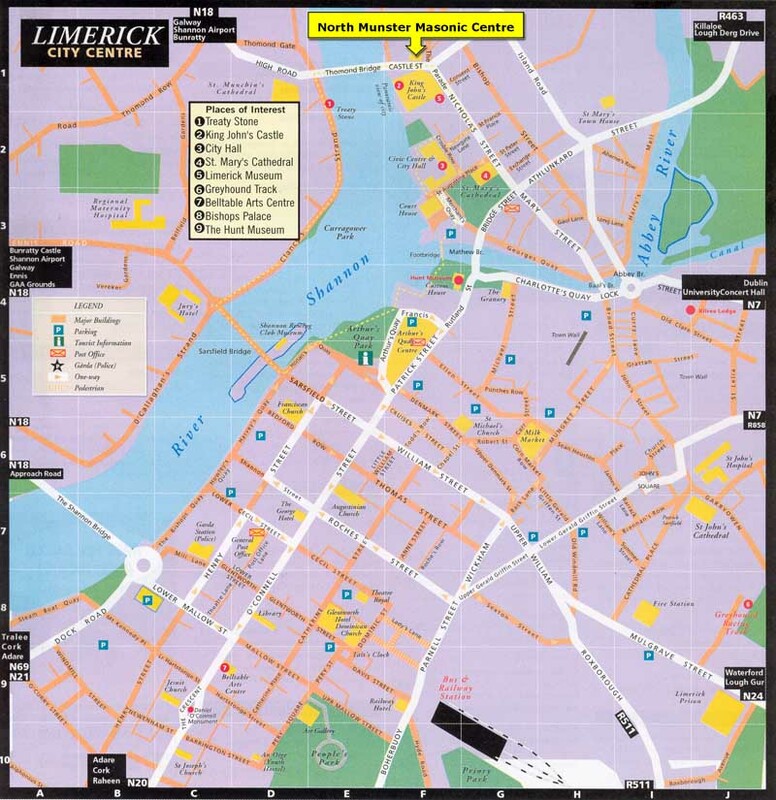 For visitors using Satellite Navigation Systems, we are listed on some units under "Museums" in Limerick. The exact address is 9 Castle Street, King's Island, Limerick. If all else fails, follow the signs for King John's Castle. Please note that Parking Discs are required from Monday to Friday between 9.30am and 5.30pm with a two hour time limit. These Discs are on sale at Tracey's Supermarket just around the corner in Nicholas Street.